Maximize your clay bar with a dual action polisher. 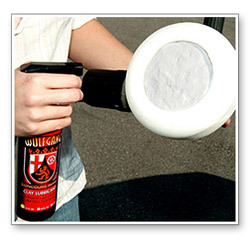 The Wolfgang Paintwork Clay Pad Applicator allows you to clay your vehicle using your dual action polisher! 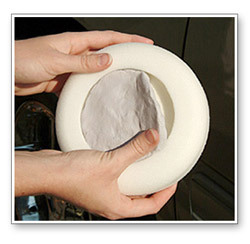 The foam pad has a cut-out in the center to hold the detailing clay of your choice. 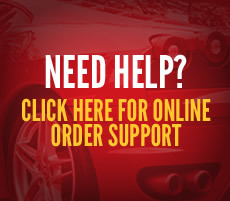 Working a slow speed, the Paintwork Clay Pad Applicator cleans and clays your car's paint! The Paintwork Clay Pad Applicator turns your DA polisher into the ultimate detailing clay applicator! Innovative tools make all the difference! Now that claying has become standard practice among so many detailers, we're raising the bar with the new Paintwork Clay Pad. The Paintwork Pad attaches to your dual action polisher, like the Porter Cable 7424XP, and allows you to clay your vehicle more effectively than ever before. 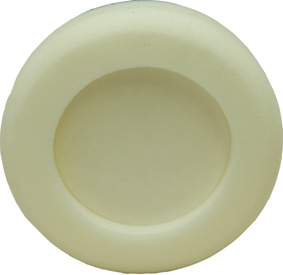 The pad itself is a high density white foam polishing pad. 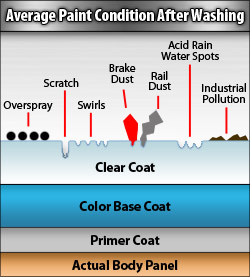 As you clay your vehicle, the foam gently polishes your paint to an attractive gloss as the clay pulls out embedded contaminants. The foam is not abrasive and, on top of your clay lubricant, it will enhance the glassy smooth texture created by the clay. In the center of the pad is a concave clay compartment. As you move your polisher over the paint surface, the clay pulls out contaminants faster than you can by hand and, in combination with the polishing foam, produces a smoother shine. The pad accommodates a 6 oz. to 8 oz. clay bar. The Wolfgang Paintwork Clay Pad is 6 ½" and requires a 6" backing plate. If you use a smaller plate, you will press the clay against the paint, but not the foam. After claying, wash your Paintwork Pad in a bucket of soapy water, or use a specialized cleaner like Snappy Clean. Rinse the pad completely and squeeze out excess water. Rub the clay compartment with glass cleaner or rubbing alcohol to remove any clay residue. Allow the pad to air dry. Take your clay to the next level with the Paintwork Clay Pad. It clays and polishes at the same time for fast and efficient results. To use the Paintwork Pad, shape a 6-8 oz. clay bar into a round patty and place it in the middle of the pad. The compartment is slightly tacky so the clay will stay in place. Mist the pad and clay generously with a clay lubricant, like Wolfgang Polyclay Lubricant. 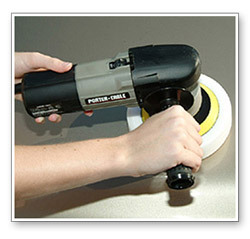 Place the pad onto your paint and turn your polisher on. Start at a slow speed. If using a Porter Cable, set it on 3. Move your pad up and down and back and forth over a 2 square foot area, applying enough pressure to flatten the foam so the clay is in contact with your paint. When the clay moves freely, lighten up on the pad so that just the foam is touching your paint. 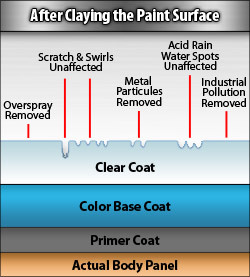 Polish the area lightly and then wipe off any clay residue. You may need to re-mist your clay periodically to keep it well lubricated. Check your clay to see if it has become contaminated. If it looks dirty, re-shape the clay so that a fresh surface is revealed. Tech Notes: Check the clay often; if it is soiled, reshape it to reveal a clean portion. Use this pad with a dual action polisher only. Always apply a premium wax or sealant after claying. Try Wolfgang Deep Gloss Paint Sealant 3.0 for a spectacular, glossy shine. This pad requires one 8 oz. Clay bar or two 4 oz. 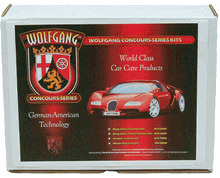 Wolfgang Elastic PolyClay bars.